BELLEFONTAINE, Ohio -- A woman calmly called 911 to report her baby son wasn't breathing on Tuesday and then hours later confessed to killing him and her two other young sons over the past several months because her husband paid more attention to them than their daughter, authorities said. Brittany Pilkington, 23, is charged with three counts of murder, said police in Bellefontaine, about 60 miles northwest of Columbus. Pilkington is accused in Tuesday's death of 3-month-old Noah and in the deaths of 4-year-old Gavin, who died in April, and 3-month-old Niall, who died in July 2014. No working telephone number for the family's home could be found, and no attorney information was available for the mother. Police said officers went to the family's apartment on Tuesday morning after an emergency call from the mother saying Noah wasn't breathing. They said she calmly answered a dispatcher's questions while the baby's sleep apnea alarm beeped in the background. The baby was pronounced dead at a hospital. Logan County prosecutor William Goslee told The Columbus Dispatch he interviewed Brittany Pilkington and she confessed to killing each of her sons by placing a blanket over their heads and suffocating them. "In her mind," Goslee said, "she was protecting her daughter from being not as loved as the boys were by their father." The daughter, 3-year-old Hailey, was taken into custody by a county child welfare agency. Prior to Pilkington's arrest, authorities had already been investigating what happened to Niall and Gavin, whose causes of death haven't been determined. In each of those cases, their father, Joseph Pilkington, found them unresponsive when he got home from work. "Our son's not breathing," Brittany Pilkington said meekly to a dispatcher when she called police on April 6 as her husband frantically gave Gavin chest compressions. "He's turning white." Joseph and Brittany Pilkington were cooperative on Tuesday, police said. 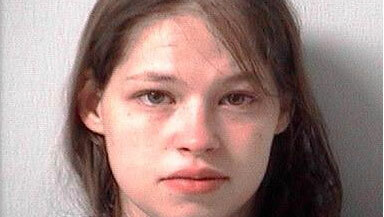 Brittany Pilkington eventually told detectives that she killed all three boys, police said. "The tragic deaths of Niall, Gavin and Noah leave a pit in our stomachs today," police Chief Brandon K. Standley said in a statement. "Our condolences go out to the remaining family members who have supported this family through a very difficult 13 months." Brittany Pilkington's uncle Joe Skaggs said Hailey and Noah had been with Logan County Children's Services after Gavin's death and were returned to their parents this month. "Why would you give them back after a little boy just died and when you're in the middle of an investigation?" Skaggs, standing in front of his niece's apartment, told the Dispatch. A voicemail system at the agency wouldn't accept messages after hours Tuesday. But Goslee, the prosecutor, said Hailey and Noah were given back to their parents after a coroner determined Gavin's and Niall's deaths weren't suspicious. The Pilkingtons' neighbor James Breaston was home, across the hall from the family, when Gavin died in April. He remembered consoling a distraught Joseph Pilkington but finding Brittany Pilkington unperturbed. "He was crying, the tears were rolling, and she was just cold," Breaston told the Dispatch. "She just stared like nothing happened." Breaston said that when he saw police arrive on Tuesday morning he thought, "Oh, there's another baby dead." CBS affiliate WBNS reports investigators said Tuesday there is no evidence that links the husband - Joseph Pilkington - to any of the children's deaths.